Tithe is a word that means 10 percent. If you pay 10 percent of your gross income to your local church then by their definition you are paying tithes. I want to start by saying that if you feel the need to give 10 percent of your income to your church, or you feel that God is directing you to give ten percent, then by all means continue what you’re doing. I don’t want to get in the way of that. Churches do need finances in order to function in ministry. Faithful support of your local church will help spread the gospel of our Lord Jesus. 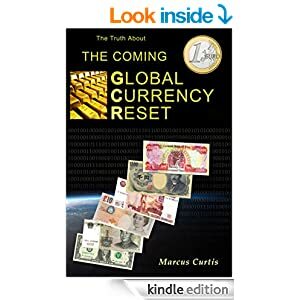 However, if you give 10 percent of your income because you have been told that you are robbing God if you fail to do so, or if you can barely make ends meet and you go without the things you need so you can pay tithe, or if you are getting into debt because you are paying tithe, then this study is for you. If you feel condemnation as a result of failing to pay tithe then you should take to heart what I am about to say in this study. What does the bible really teach about tithing? I am about to show you how the church has abused the teaching of the tithe. For those that don’t know, according to many churches, the teaching of the tithe is manipulated to say that all Christians are to give to their local Church 10 percent of their income. If we as Christians do not do this then we are robbing God of what we owe him. We are being misled to believe that we are stealing from God himself. Many scriptures are taken out of context and twisted to make this point and the tithe has become a money-making machine for the church. I don’t think that the church knows the full extent of the damage this false doctrine has brought. It is my intent to reveal what the scriptures actually say and to hopefully restore your faith in the gospel as the tithe is counterproductive to the gospel itself! I say this as a witness to the damage that the tithe can do in a person’s life. It was the teaching and my personal belief in the tithe that almost cost me my faith in God and the bible itself. This legalistic doctrine has done more to damage my walk with God than any other false teaching. I will touch on my personal story later, but for now let’s see what the scriptures actually say about the tithe. On the surface this looks like a scripture that supports paying tithe, but this scripture has been taken out of context. What is meant when verse 20 says that he gave tithes of all? Let’s look at the circumstances surrounding this scripture. You can say that you believe Abram paid tithe to Melchizedek if you want, but this is not a written record of that. Abram went to war to recover his nephew Lot. In the process he got all the stuff that was taken from the surrounding cities. He gave Melchizedek 10 percent of the spoils of this war. He gave the other kings that lost everything in battle the rest of the spoil. He kept nothing for himself. He let the people who joined him in battle keep their portion. This is not a record of Abraham paying tithe as most people are led to believe. Then I will give God 10 percent. All this happened 20 years later with no record of Jacob ever paying this tithe. In the Old Testament, the only place the tithe can actually be found is under the Law of Moses. There is no record of the tithe being found outside of the Law! Some evangelists have claimed that when Adam sinned and ate the forbidden fruit in the Garden of Eden, he was actually stealing from God. He took God’s tithe and that was the original sin. This is the biggest stretch and misapplication of scripture I have ever heard regarding tithing! God said to Adam you can eat of any tree except that one tree. I believe that there were more than ten trees in the Garden of Eden. This attempt to put wrong meaning into scripture in order to steal money from people makes these bible teachers no better than the money changers that Jesus drove out of the temple with whips! The people who came up with this twist know they are lying! This is a very grave sin that needs to be addressed because these false teachers are purposely perverting the gospel of Christ for their own ill-gotten gain! Make no mistake about this; there will be a penalty for this action! There were four kinds of tithe in the Old Testament. All the tribes of Israel except the Levites had an inheritance. The priests were of the house of Aaron which was a part of the tribe of Levi. So all priests were Levites but not all Levites were priests. Ten percent of the harvest was given to the Levites. In return the Levites had to take ten percent of that tithe and give it to the house of Aaron or the priests. So the priests received their inheritance from the Levites. This means the priests actually only received one percent of the total tithe. 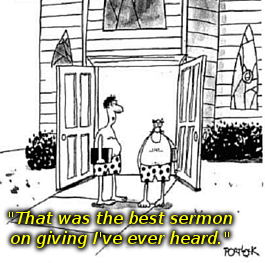 There was another kind of tithe. This tithe was meant to spent by the children of Israel to buy whatever was needed during the Jewish festivals. This tithe was also meant to help the poor so they could also celebrate the festivals. God is telling the Jewish people to not forsake the other tithe that is given to the Levites. Remember the Levites. He is also telling the people of Israel to save an additional 10 percent for feasts and don’t get the two confused. The fourth tithe was given every third year and it was for the Levites, strangers, orphans and widows. It was for the local Jewish community. The tithe was never based on money. It was always based on agriculture. There are those who say that people did not have money back then and money was not common place. That is why we give money today. Deu 14:26 says to turn the tithe used for the festivals into money (silver) in order to avoid transporting goods a great distance. Money at this point in time was precious metals and even Abraham had money. Money was common place and Abraham used money to buy a cave to bury his wife. The claim that people in the Old Testament did not use money and that is why they gave tithe from the harvest does not hold up. The tithe was paid to the tribe of Levi. It was given to them because they had no inheritance. They had no land they could use to grow their own food. It had nothing to do with money! The Levites collected the tithe and gave another tithe to the priests. The store house portion was a tenth of a tenth percent or one percent. The other 9 percent was held in the Levitical refuge cities. Remember that the storehouse for the priest only received 1 percent of the total harvest not 10 percent. It was a tithe of the tithe. So when God Is saying bring the tithe into the storehouse this is only referencing 10 percent of the total tithe! This is the scripture used by those who teach tithing to falsely accuse the body of Christ. 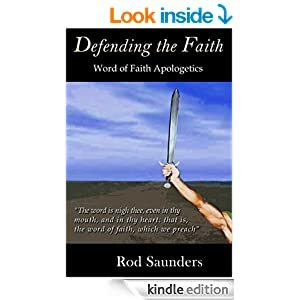 The Christian believer is wrongfully placed under condemnation because they are told that they are robbing God if they don’t pay ten percent of their income. There are television evangelists that claim we will receive a blessing and that the windows of heaven will open up if we pay 10 percent of our income to the church. They claim that we have protection over our finances if we tithe. If we don’t tithe we are placed under a curse and we are no better than a thief. It is even taught that God himself will rebuke the devourer for our sake if we give a tithe. Mal 3:8-12 is yet another tithing scripture that is taken out of context. First, as we discussed earlier the tithing was always based on the harvest, it was never based on money. It was only meant for the Jewish people! Second, this scripture is actually addressing the priest and not the nation of Israel as a whole. It was the priest who were robbing God! Consider these other verses. Chapter 2 of Malachi continues to address the priest. Continue on to part 2 of this study. I believe that you will find healing and restoration as we continue. Now that you know how these scriptures were taken out of context let me share some of the wrong teachings about the tithe.